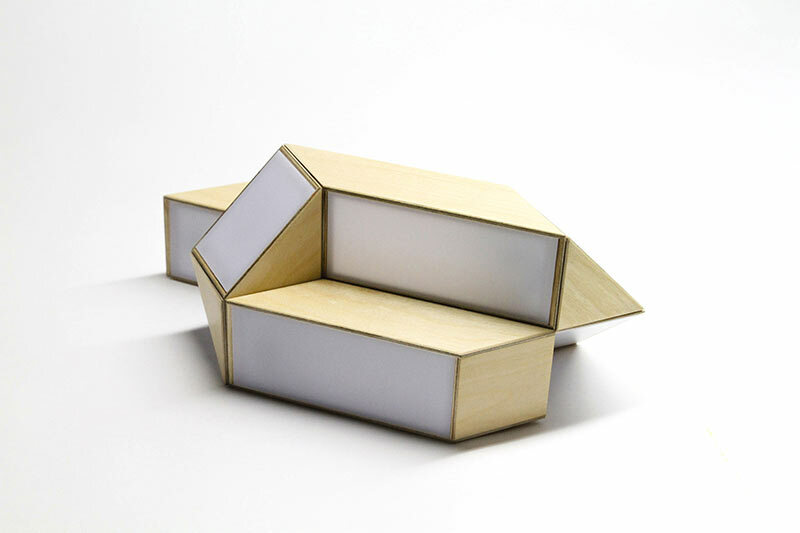 Children of the 1970s for sure remember the Rubick’s Cube and its sister toy – the Rubik’s Snake. 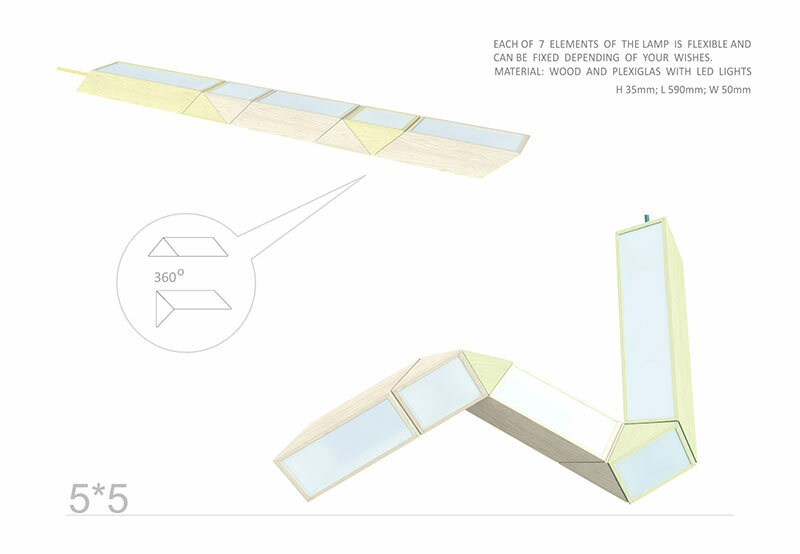 Oikimus Maria and Ivan Zverev of Oikimus Design remember it too and designed the 5+5 Lamp based on it. 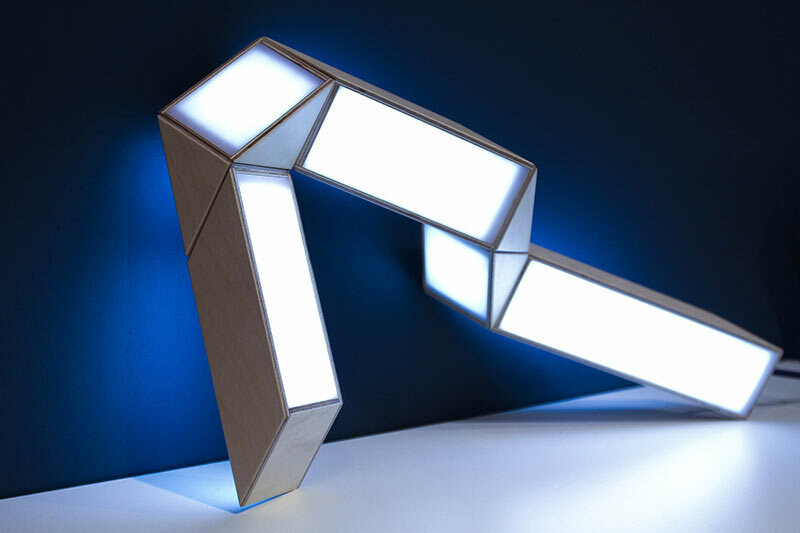 Just like the toy, 5+5 is made up of elements interconnected by hinges that allow the parts to rotate 360° to create various two- and three-dimensional shapes. 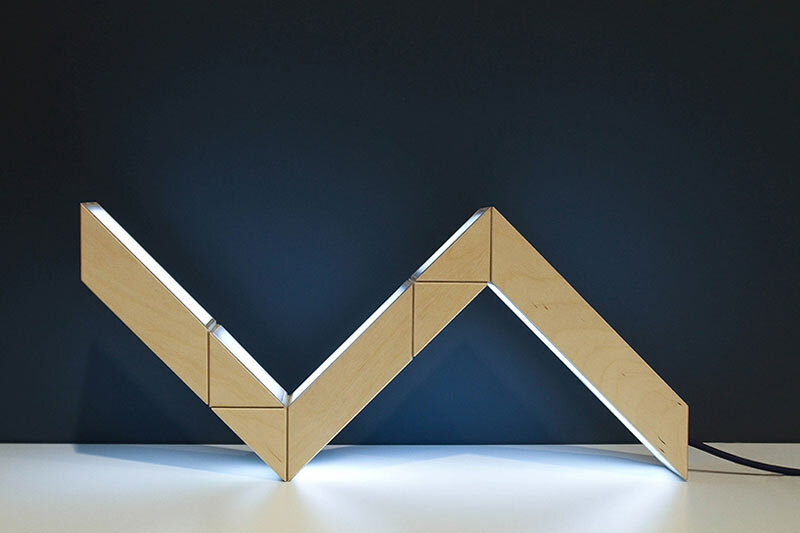 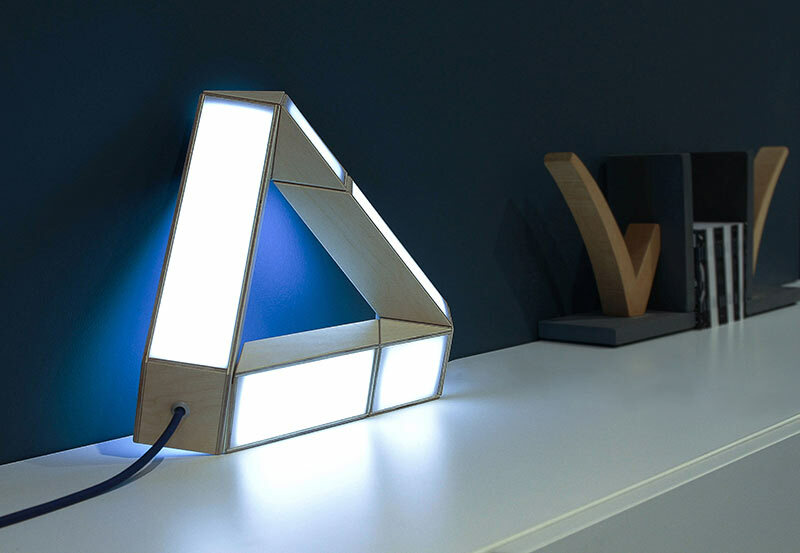 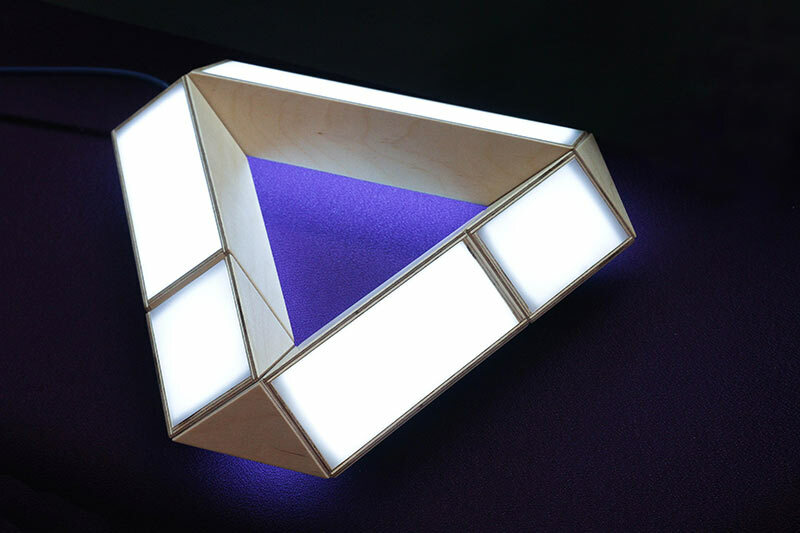 The lamp’s case is made of plywood and is outfitted with LEDs inside that illuminate through frosted Plexiglas. 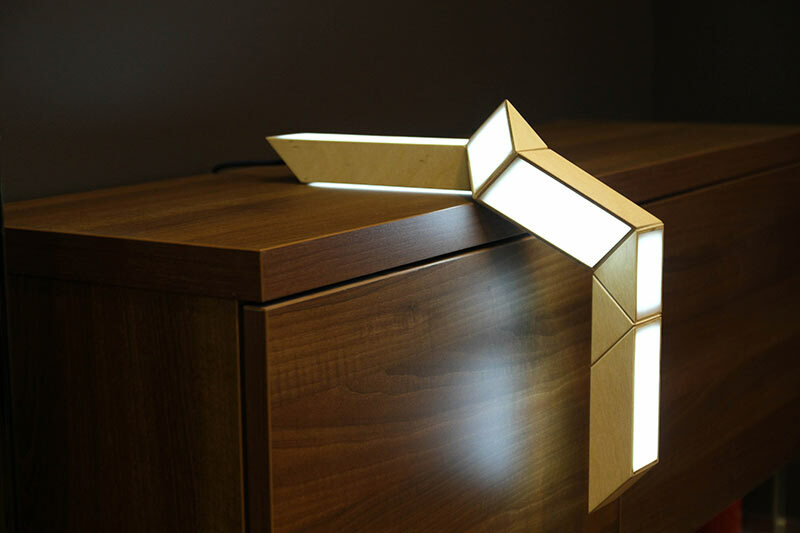 Due to the lamp’s ability to change, it can become a table lamp, a wall lamp, or it can even be attached to your ceiling.